You know it's a sleepy day on Wall Street when investors eagerly tuned into a speech at a Rotary Club in Paducah, Kentucky. Population: 25,000. U.S. stocks closed slightly lower Wednesday, as investors weighed remarks from St. Louis Fed President James Bullard, who delivered two speeches in Paducah this afternoon. Bullard is a voting member on the Federal Reserve's policy-making committee, and he has recently said he fears inflation is too low. Investors are taking a magnifying glass to all Fed speeches lately for hints of when it will start to slow its bond-buying program, known as quantitative easing or QE for short. The Fed has been purchasing $85 billion in Treasuries and mortgage-backed securities each month. Many believe the so-called "tapering" of QE will begin at the Fed's next meeting in September, but Bullard said Wednesday that he would like to see more economic data before coming to a decision. What's moving: Looking at individual stocks, Apple (AAPL)shares bucked Wednesday's downward trend, rising above $500 for the first time since January, but pulled back to close at $498.50. The stock has been rallying for a second day on the news that activist investor Carl Icahn has taken a "large" position in the company. Icahn revealed his investment in Apple in a pair of tweets Tuesday afternoon, noting he believes the company is "extremely undervalued." Apple was the top-trending ticker on StockTwits, as traders had plenty to say about Icahn's investment. AldrinWong: Today may be the last day you'll see $AAPL below $500. 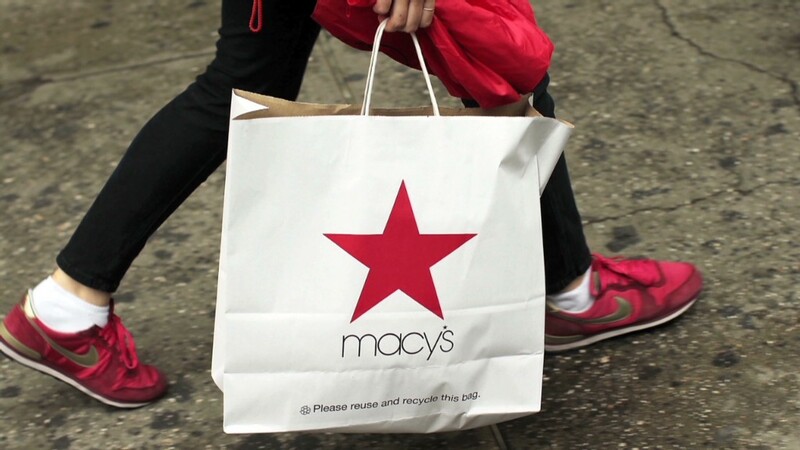 Meanwhile, Macy's (M) shares fell 4%, after the retailer reported weaker-than-expected sales in the second quarter. The company sent investors a mixed signal, noting upcoming back-to-school sales could be strong, while simultaneously cutting its outlook for the year overall. The report sparked pessimism about other retailers, with traders noting concerns about J.C. Penney (JCP), which is scheduled to report its second quarter earnings on August 20.
bradloncar: What hope does $JCP have if $M had a lukewarm quarter. Best Buy (BBY) is staging the meteoric comeback J.C. Penney shareholders can only hope for at this point. Shares rose nearly 3% Wednesday after an analyst upgraded the stock, and overall Best Buy is up nearly 170% since the beginning of the year. Best Buy hasn't delivered a quarterly profit in a year, but investors are hopeful that CEO Hubert Joly, who took the helm last fall, will be successful with his "Renew Blue" plan. Shortly after the closing bell, Cisco Systems (CSCO) reported quarterly earnings that narrowly beat estimates, but shares fell 3% in after-hours trading. Cisco's stock has been on a tear this year, rising nearly 35%. So investors may have been expecting the company to beat forecasts by a wider margin. 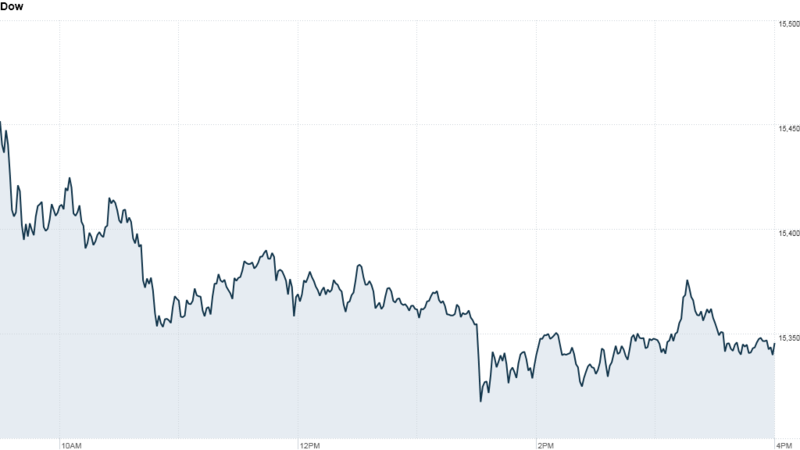 Across the pond, investors awoke to encouraging news that Europe's recession is over. Gross domestic product across the 17-nation eurozone grew by 0.3% in the second quarter, led by a rebound in the region's two biggest economies, Germany and France.